Here are my 12 (not 10) favorite skiing villages. 12) Chamonix, France -- Chamonix sits in a 10-mile long valley with five ski areas and challenging slopes. The Aiguille du Midi cable car brings you up to Mont Blanc, or you can ski 13 miles through the glacial valley called Vallée Blanche. Après-ski fun is at Chambre Neuf, where you can grab a hot mulled wine and dance to good local bands. Then settle in at the Hôtel Les Aiglons Resort & Spa. And wake up to the first rays of the sun dappling the ridges of the Alps. 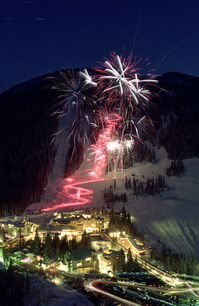 11) Vail, Colorado, U.S. - First used as a training ground for the U.S. Army's 10th Mountain division during World War II, Vail (and the neighboring village of Beaver Creek) today attract an upscale ski crowd from all over the world. Vail is a European village plunked amidst the mountains of Colorado, filled with world-class boutiques and atmospheric restaurants... and even a clock tower in the center of town. The Four Seasons Resort and Residences Vail offers luxury accommodations and easy access to the slopes. And the artistic and cultural scene here is a lively one. 10) Innsbruck, Austria -- In Innsbruck, the hills really do seem to come alive with "The Sound of Music." This is a magnificent city of classic Austrian (and Austro-Hungarian) architecture, with steeples and onion-domes and turrets and cupolas and charming alleys... and incredible views everywhere you look. And the skiing is so great that they've held two Winter Olympics here (1964 and 1976). Skiers and snowboarders have access to more than 500 kilometers (310 miles) of trails in 25 resorts. 9) Engelberg, Switzerland - Skiing revolves around 10,623-foot Mount Titlis, which offers spectacular runs and spectacular views. Glacial slopes make skiing possible from October until May, and you can also explore ice caves on the mountain. The village of Engelberg is filled with delightful shops and cafes, and the Hotel Engelberg offers traditional Swiss hospitality and cuisine. The Panorama Restaurant, atop Mount Titlis, has romantic candlelit dinners and views into forever. And you'll never forget the sound of the cowbells in the valley below as you ascend through the clouds in the cable car. 8) Winter Park, Colorado, U.S. - Winter Park is 67 miles west of Denver, convenient to four Wilderness Areas, two National Forests and one National Park (Rocky Mountain). 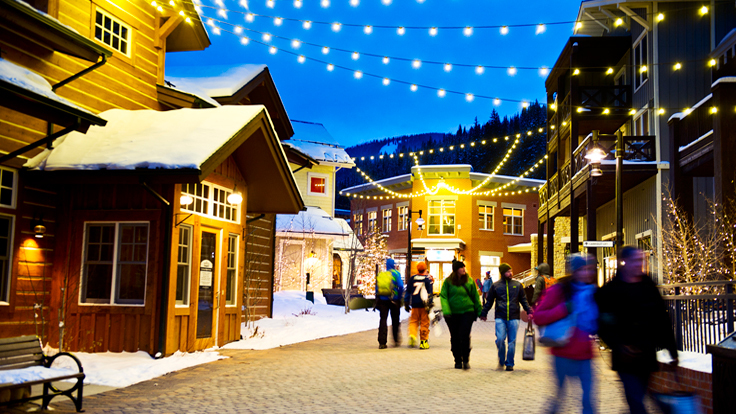 Winter Park doesn't make international headlines; it's more of an authentic Colorado experience. The area has two downhill resorts and four cross-country resorts, and it's tucked against the Continental Divide - so there's always snow. 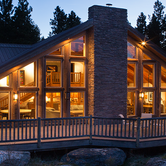 The Zephyr Mountain Lodge and the Iron Horse Resort are both ski-in and ski-out. And locals love the food at Deno's Mountain Bistro. 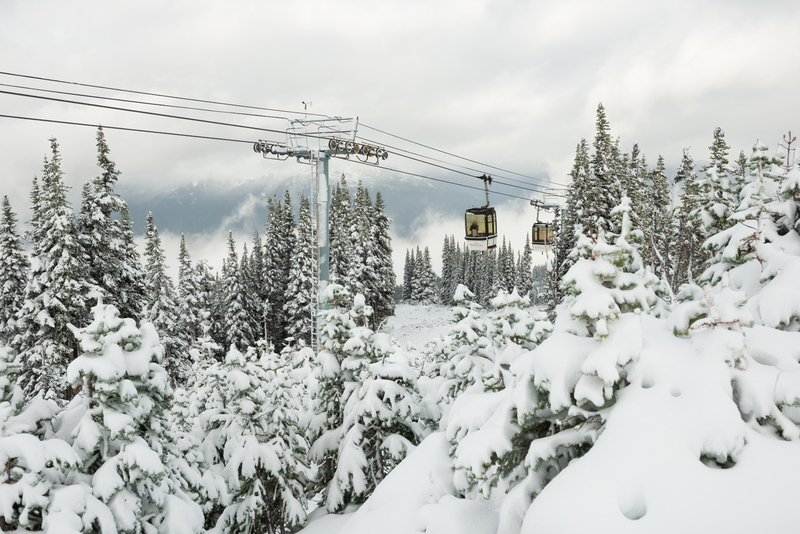 7) Whistler, Canada -- Whistler's grand entrance onto the world stage came in February, 2010, when it hosted many of the events of the Vancouver Winter Olympics. For skiers, though, no introduction was needed; this area has long been one of the world's top skiing destinations. Two hours north of Vancouver, in the middle of British Columbia's scenic Coast Range, it resembles a Currier & Ives postcard. 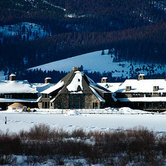 The schussing is world-class, as is Canada's only AAA Five-Diamond hotel, the Four Seasons Resort Whistler. 6) Alagna, Italy - Alagna's way off the "hot-spot" radar. It's a "rustica" northern Italian village with a population of 400, no real shopping to speak of, and only a couple of restaurants. But the 115 miles of trails offer incredible skiing and the backcountry runs offer even more. Nightlife - such as it is - takes place at the Caffé delle Guide (which has the best pizza in town) at the Hotel Monterosa. If you're looking for popular hot-spots, look elsewhere. But if you're looking for hot slopes this is it. 5) Taos Ski Valley, New Mexico, U.S. - One of the best things about the Ski Valley is that it's near Taos, a spiritual and artistic Southwestern town with dream-like natural light. 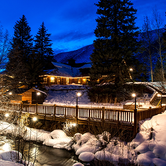 The Ski Valley's Swiss-village ambience (including a clock tower) is complemented by 13,000-foot Wheeler Peak, New Mexico's highest mountain, and a beautiful alpine lake with a waterfall called Williams Lake. 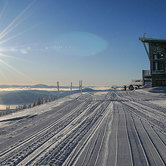 Average annual snowfall here is 305 inches - but you'll generally be skiing in bright sunshine. And there are 113 trails. 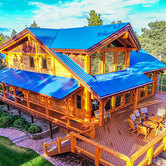 Edelweiss Lodge & Spa and Snakedance Condos offers good lodging. 4) Girdwood/Alyeska, Alaska, U.S. -- The old village of Girdwood, just east of Anchorage, is the site of Mt. Alyeska and the Alyeska Resort. This is a self-contained, full-service resort, with good skiing, and some of the most spectacular scenery in Alaska. From the top of the mountain, you can look out at 80-mile views of the icy waters of the Cook Inlet and Turnagain Arm, the Chugach Mountains, the Kenai Peninsula, and the Chugach National Forest. Annual snowfall here is 650 inches, and there are 76 trails on which you can sample it. The ambience is elegant, authentic Alaska. Stop at the Bake Shop for soul-warming soups, gut-stuffing sandwiches, and the fresh baked goods for which they're famous. 3) Cortina D'Ampezzo, Italy -- Cortina nestles amidst the stunning Dolomites of Northern Italy. 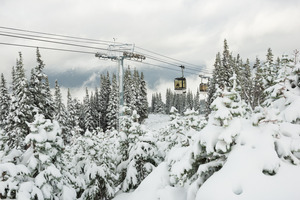 The area has over 740 miles of ski runs, as well as snowmobiling, bobsledding, dog-sledding, snowboarding, ice-climbing, tobogganing, and ice-skating, and 50 miles of cross-country trails. You can even go rafting down a ski jump. The international set browses in the 250 shops; parties in the cafes, discos, and piano bars; and lodges in places such as the Park Hotel Faloria and the Cristallo Hotel. 2) Zermatt, Switzerland - Zermatt's the major leagues, when it comes to skiing. And when it comes to après-skiing, as well. It boasts three mountains and 153 miles of runs - along which are some 60 eateries (and drinkeries) ranging from pub-grub to Five-Star. On the sundeck of Chez Vrony, a refurbished 19th-Century farmhouse that's now a restaurant, you can look across the valley at the magnificent Matterhorn. The newest hotel in town is the Cervo, a lively nighttime spot with an outdoor firepit. 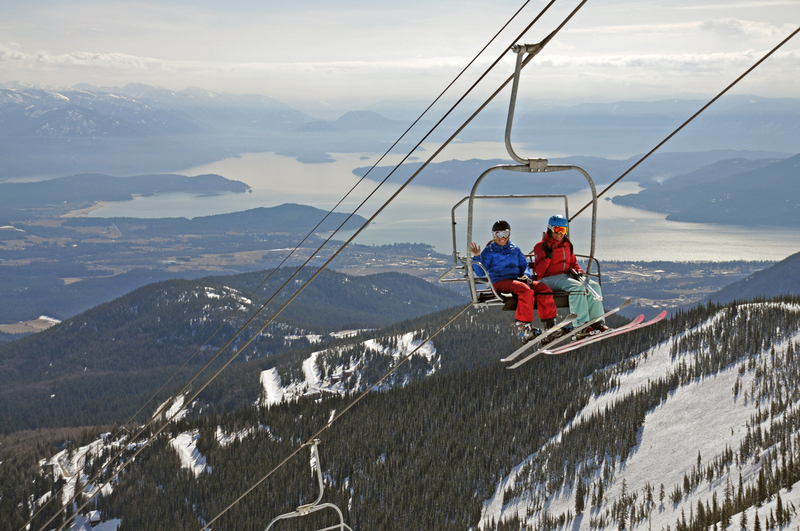 1) Schweitzer Mountain, Idaho, U.S. -- If you like good skiing and magnificent scenery without the pretentious crowds, check out Schweitzer. 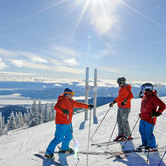 Tucked into the Northern Idaho Panhandle, just 40 miles from the Canadian border, Schweitzer is a mountaintop (7,000-foot) resort-village with shops, restaurants, adventure outfitters, hiking and biking trails, and horseback riding. It's just outside the town of Sandpoint, voted last year by Rand McNally readers, "The Most Beautiful Small Town in America." Access is by a 20-minute drive up sharp mountain switchbacks, past deer and moose. And, from the top of the mountain (the Continental Divide), you can see into three states (Idaho, Washington, and Montana) and two countries (the U.S. and Canada), along with the 43-mile-long alpine lake (longest in Idaho) called Pend Oreille. Each of these places, in its own way, is special to me. And, as always, we welcome your comments.